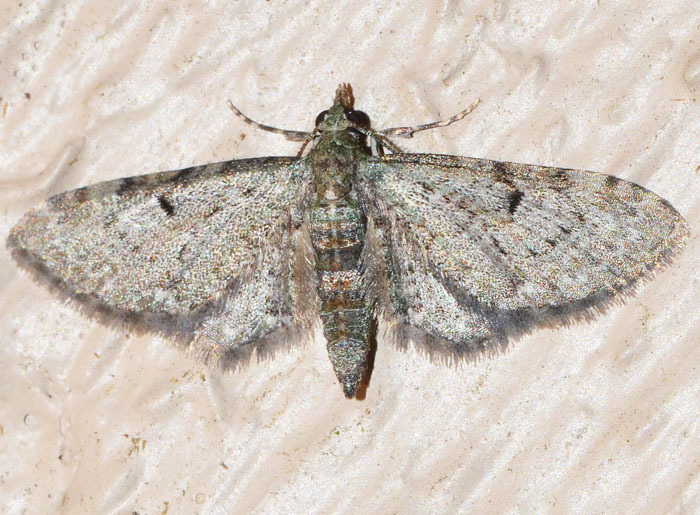 Eupithecia has over 1400 species worldwide and is by far the largest moth genus. Pugs are typically small with muted colors and species-level identification may require dissection. As a group they are easily identified by their narrow wings held flat at a right angle to the body with the hindwings almost hidden behind the forewings.